To see the latest weather data on a mobile phone / tablet view in Portrait Mode & you have to scroll down! That said pistes are still in great condition and there have been some amazing deals on Easter holidays out here. Lifts close down Easter Monday not that I've been using them recently as we've had some good ski touring conditions and hopefully will last up to May. 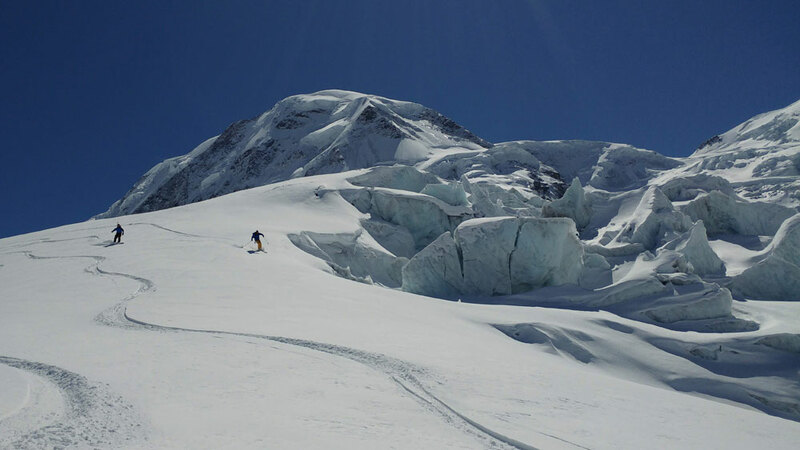 Last week we were ski touring at altitude, well over 4,000m and that is hard work, and as you can see scenery is stunning on the glacier. And after the Ski Season finishes we're off on a road trip down to Spain staying in good old Tarifa for a month! After some superb kiting / windsurfing and body bashing sessions you might want to let your body recover. Sports & Body Massage Therapist Siggy Baylis, my daughter, is doing special kite and windsurf massages, at her treatment room in Ebenezer Chapel, Portland Road, Worthing. Check out her website: www.sportsandbodymassage.com and call her on 07854 332667 for an appointment.